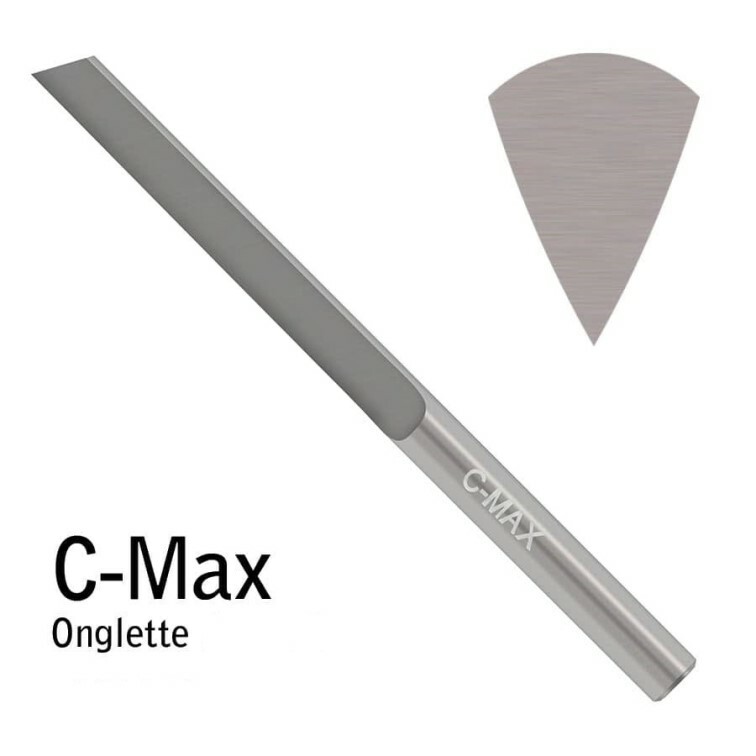 C-Max Carbide Onglette Graver. Length: 1.8" (45.7mm). Diameter: 0.125" (3.175mm). 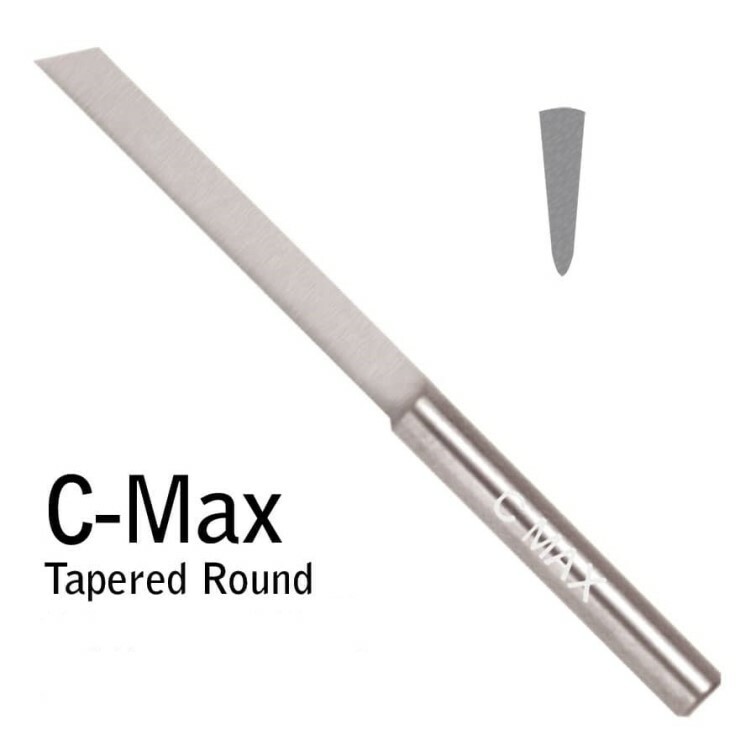 Use with QC Tool Holder for 1/8" Round. C-Max Stepped Round. Length: 1.77" (44.96mm). 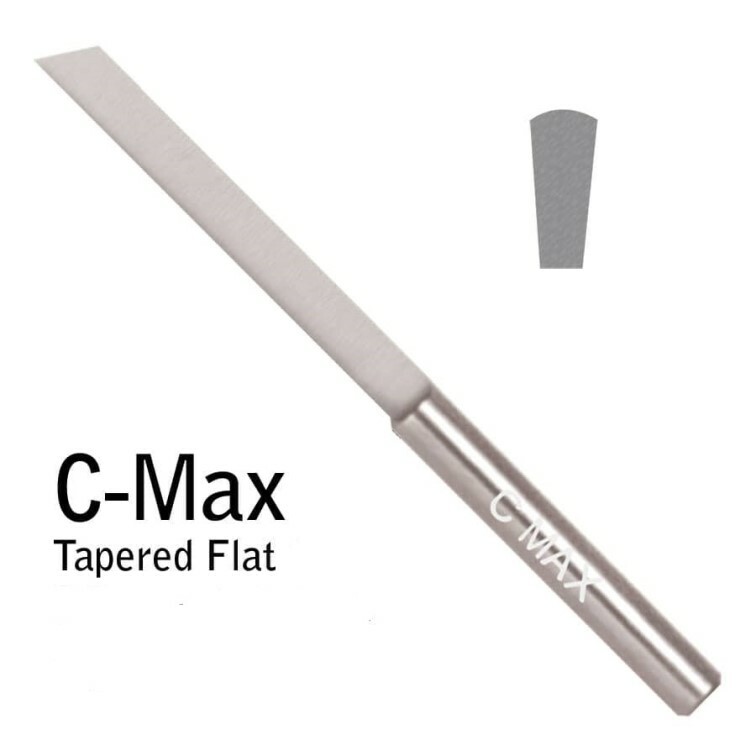 Tool Point Length: 15mm. 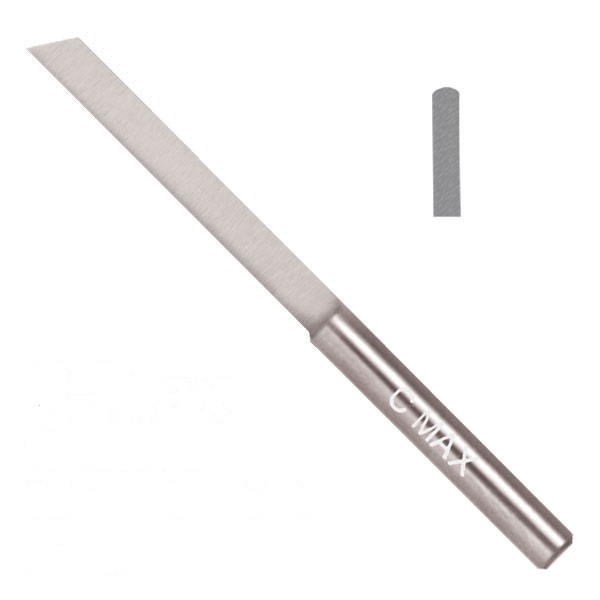 Shank Diameter: 2.35mm. 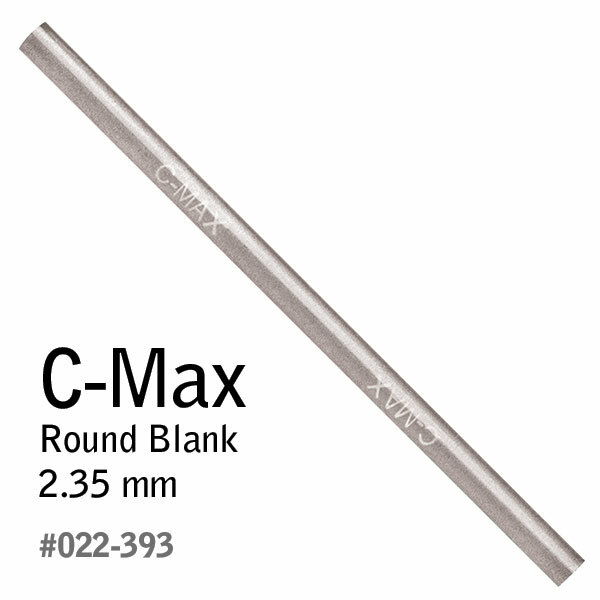 Use with QC Tool Holder for 3/32" Round. 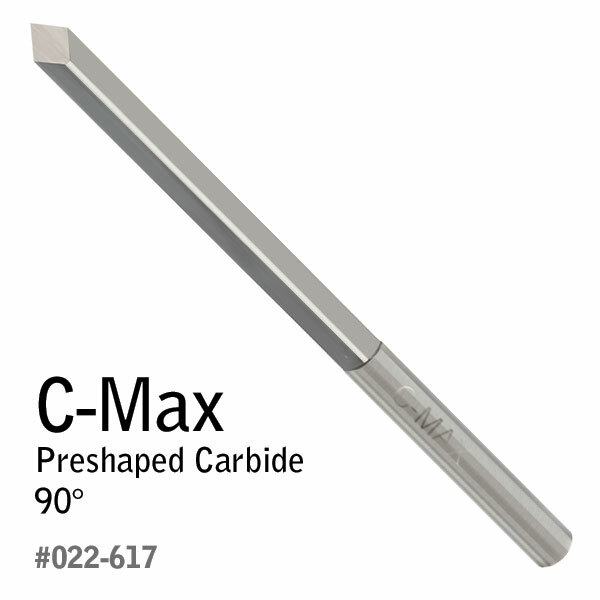 C-Max Carbide Tapered Flat Graver. Length: 1.8" (45.72mm). 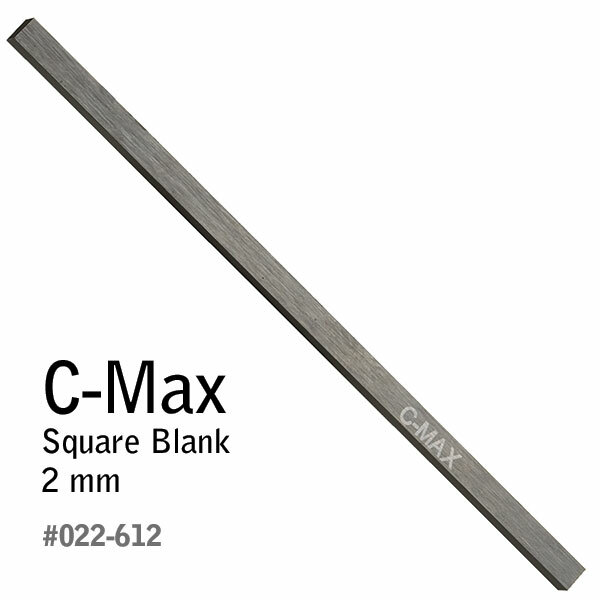 Shank diameter: 0.125" (3.175mm). Use with QC Tool Holder for 1/8" Round. 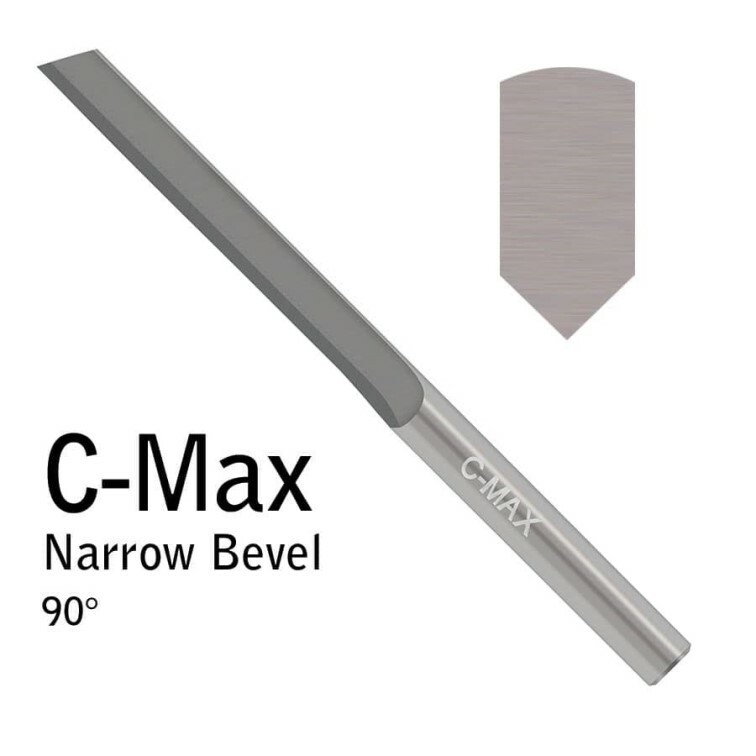 C-Max Carbide Narrow Bevel Graver. Length: 1.8" (45.72mm). Diameter: 0.125" (3.175mm). Use with QC Tool Holder for 1/8" Round. 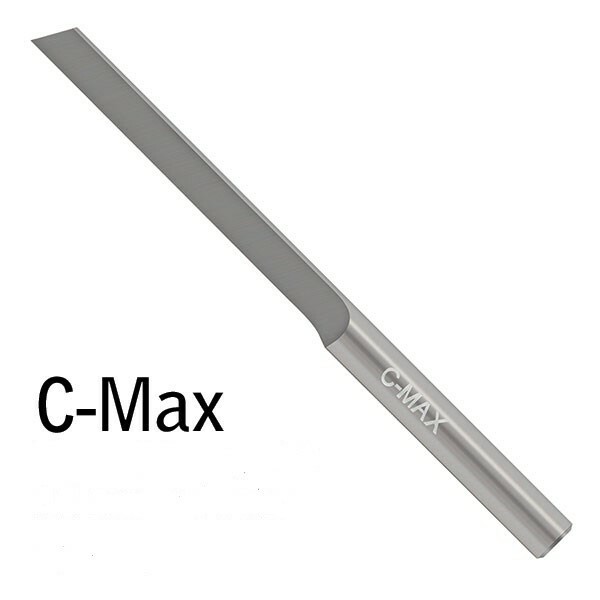 30° C-Max RFF Point Graver. Length: 1.8" (45.72mm). Diameter: 0.125" (3.175mm). Use with QC Tool Holder for 1/8" Round. 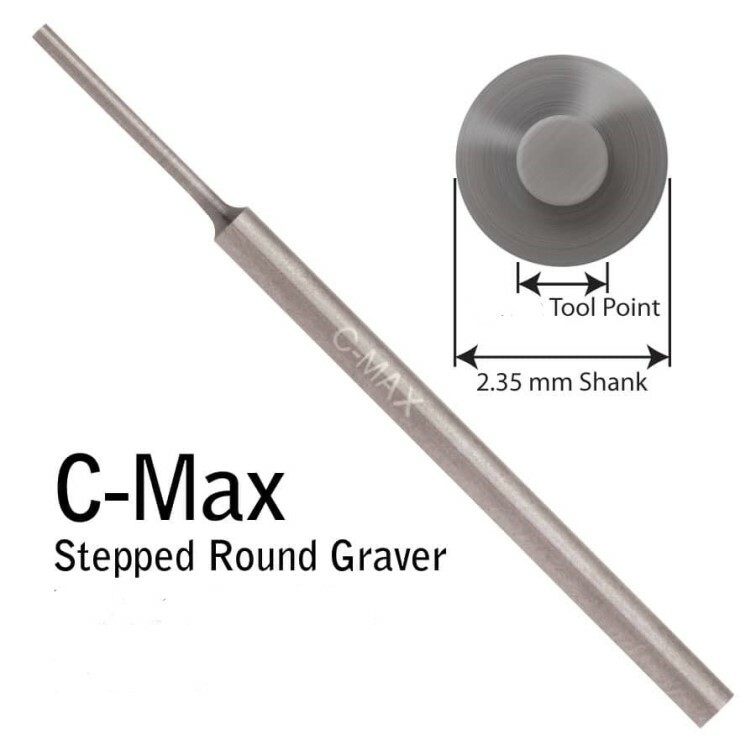 45° C-Max RFF Point Graver. Length: 1.8" (45.72mm). Diameter: 0.125" (3.175mm). Use with QC Tool Holder for 1/8" Round. 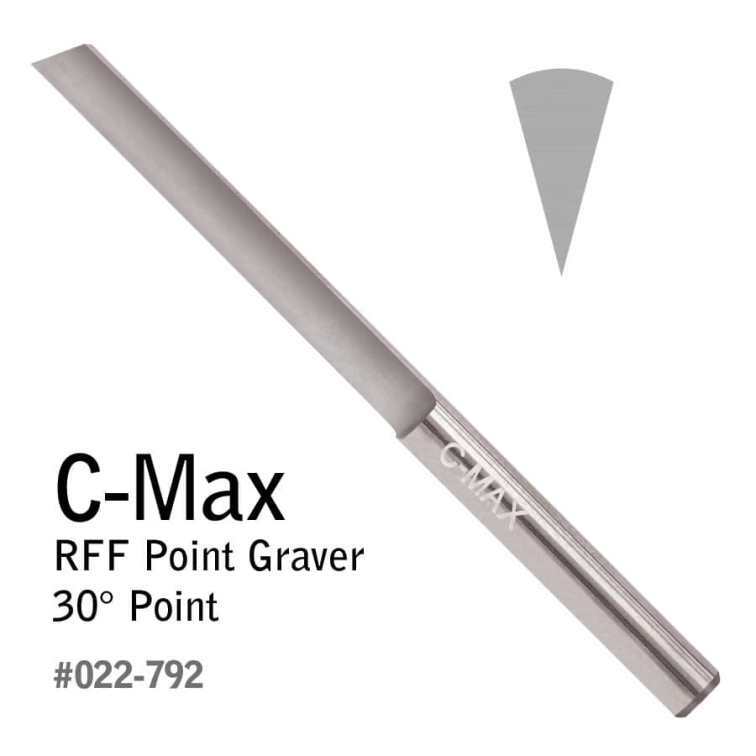 75° C-Max RFF Point Graver. Length: 1.8" (45.72mm). Diameter: 0.125" (3.175mm). Use with QC Tool Holder for 1/8" Round.